Competition first and second place recipients in the presence of the judging panel. 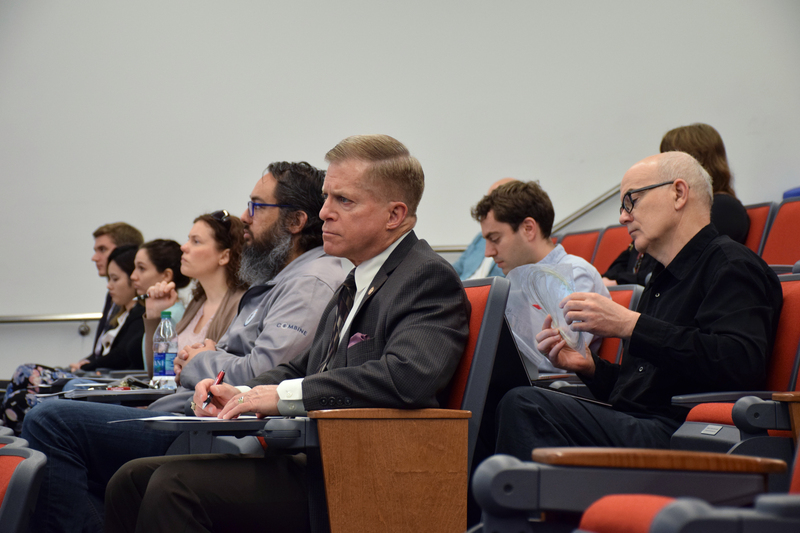 The Cheng Wu Innovation Challenge aims to reward students for creating novel, nonobvious, technology feasible, user-centered, and implementable innovation. 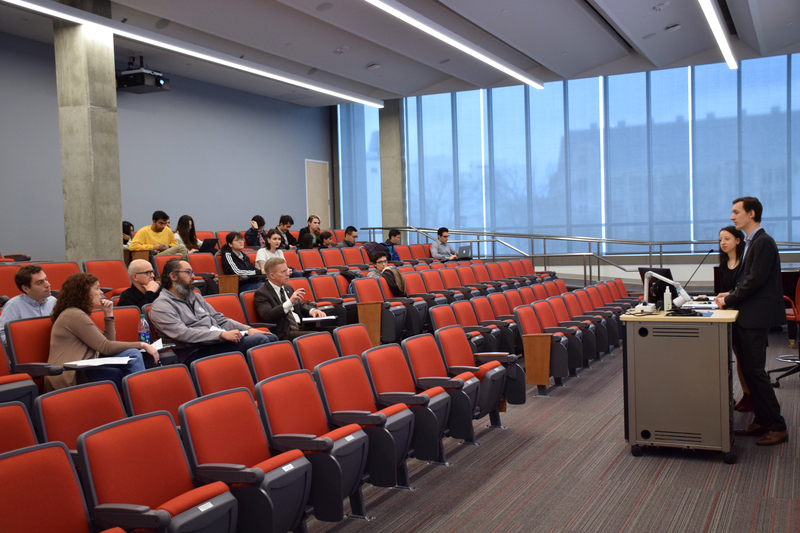 This year, two pair of students, members of the FAMES Lab were honored in receiving first and second place in this competition. 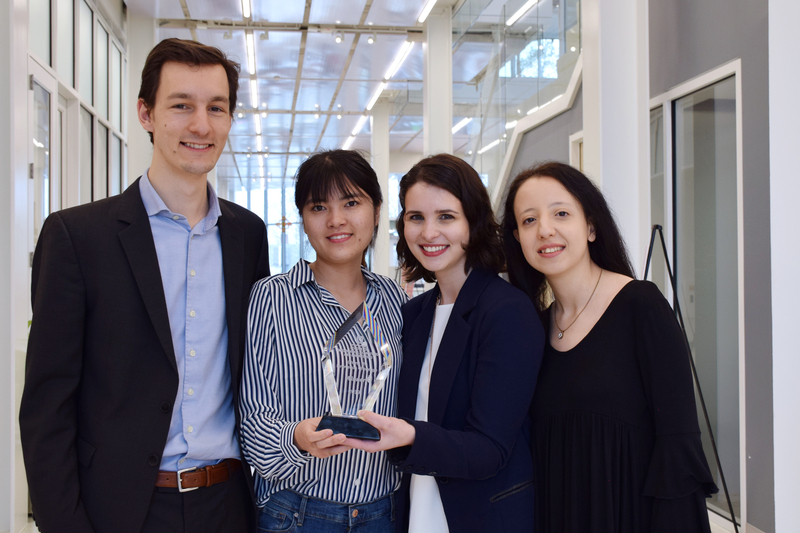 The first place was awarded to Louis van der Elst and Merve Gokce Kurtoglu for creating a tissue engineering device that serves as an altrnative to animal studies and patient-oriented medicine. Using a patient's stem cells, medical treatments can be personalized in this innovation; namely, the TrophoWell, where a drug can be developped specific to the patient. The TrophoWell is an upgradable device allowing for the testing of biochemical and physical reactions at both the micro- and macro- scale. 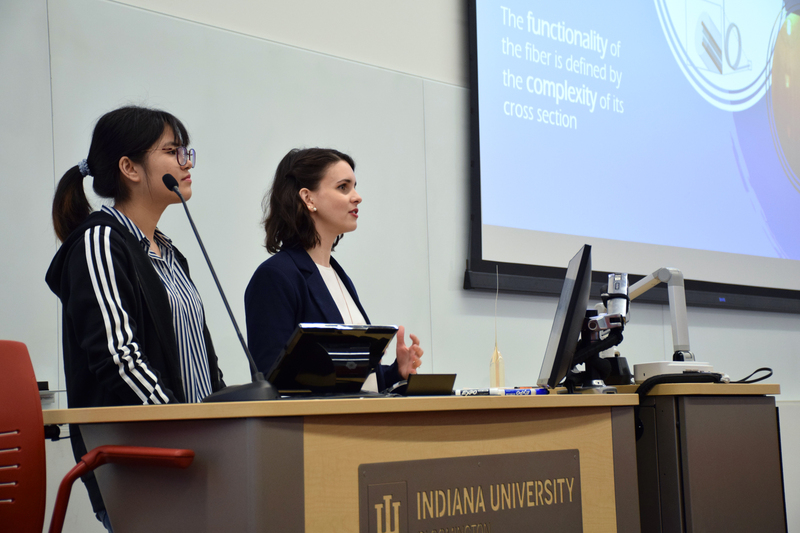 The second place was awarded to Menxin Zheng and Camila Faccini de Lima for developing three-dimensional printing of glass fiber preforms using stereolythography. Structured silica fibers could benefit multiple applications, for example dyeless coloration of fabrics for fashion, photonic crystal fibers for optical-chemical detection, single-mode fibers for telecommunication and tight focusing of light. Read more in the SICE news outlet. Left to right: Louis van der Elst, Mengxin Zheng, Camila Faccini de Lima, and Merve Gokce Kurtoglu.